Special Assistant to President Muhammadu Buhari on Digital/New Media, Tolu Ogunlesi, has described Nigerians as animals for ‘slandering' Naomi Campbell. 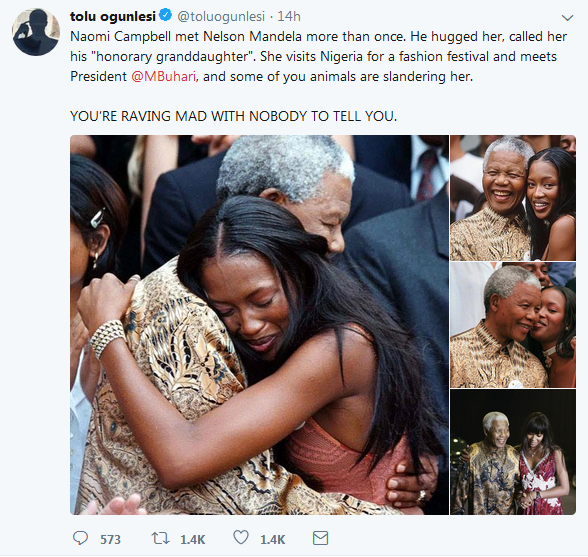 The supermodel, had shared a tweet alongside several photos with Buhari at the Eko Atlantic City launch, and said she was invited by the President. 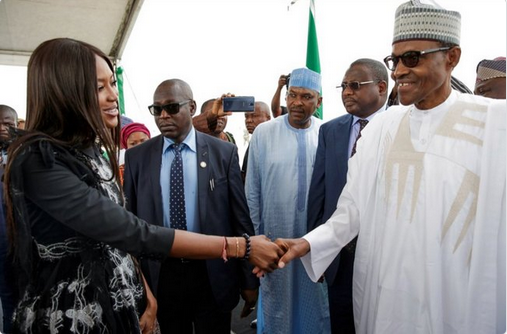 The pictures of Buhari with the Super Model stirred up controversies on social media.